Utah IPL is a vital organization but it’s often difficult to raise money to support our mission and work. So, due to some financial difficulties, the Board of Directors decided to oversee the work and programs – without staff. As of October 1, Susan and Gray stepped down as staff and then both of them stepped onto the Board. This is a bump in the Utah IPL road but it’s nothing that can’t be overcome. We are reorganizing now to keep the work and mission of Utah IPL moving forward into the future. Earth Day Festival on April 21-23. 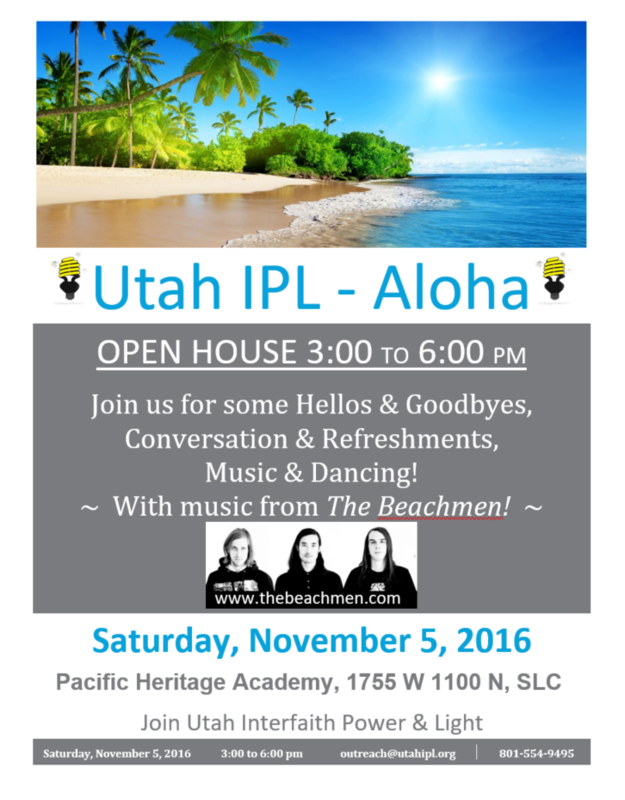 It also includes hosting films, interactive climate change simulations, panel discussions, service projects, and more, in congregations all around the state.Please join Utah IPL on Saturday, November 5, to say goodbye to staff and hello to five new board members. See flyer below for details.